We also offer a great organic roofing system that is used in conjunction with our rubber roofing products. Please contact us for a quote or further assistance with this great new organic product. 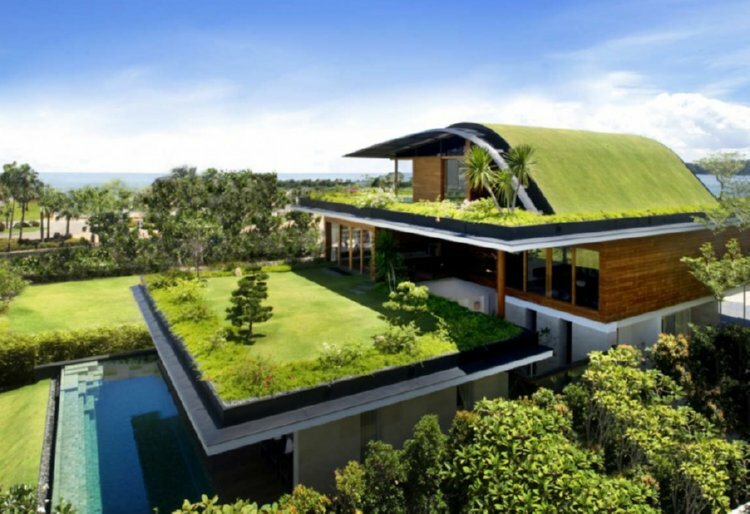 An organic roof is a roof of a building that is partially or completely covered with vegetation and a growing medium, planted over a waterproofing membrane. 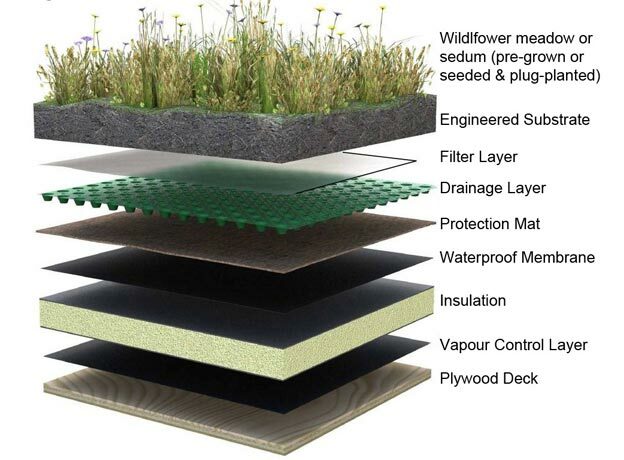 It also includes additional layers such as a root barrier and drainage and irrigation systems. As shown in this image below.